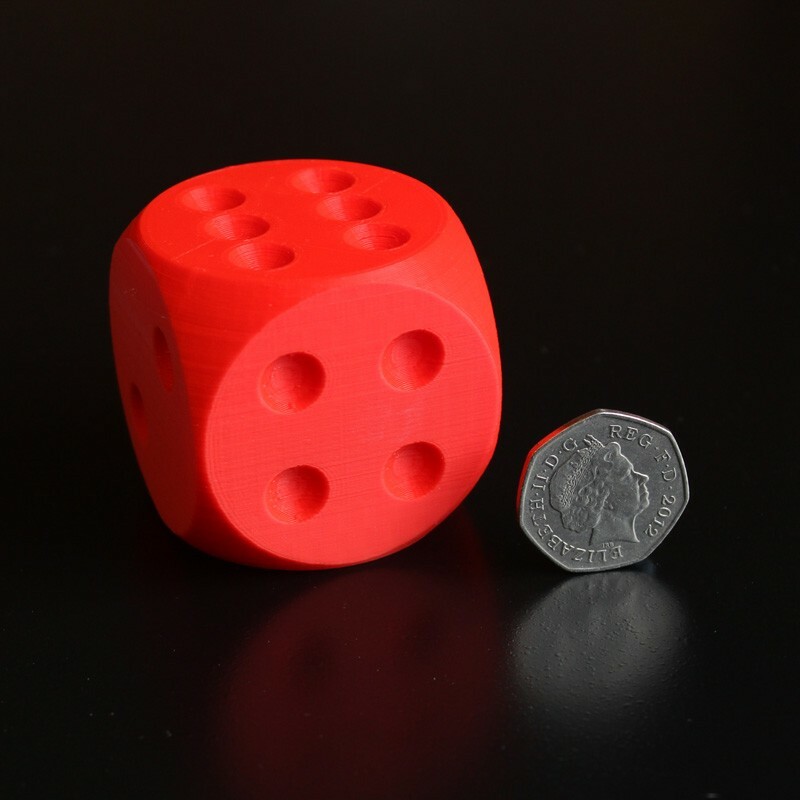 A large 5cm dice made from coloured plastic so no paint to wear off. Great for table top gaming or can be used for parties or outdoors. With rounded corners so safe and durable. The coin is shown purely for scale to show how big the dice is.